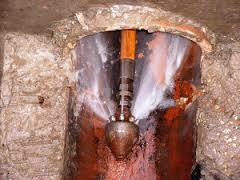 Desilting or cleansing is the key to keeping sewers, pipes, drains and gullies in good repair and fully operational. This is particularly important when it comes to maintaining our highways and byways, because keeping gullies clear and de silted lessens the risk of flooding in wet weather. Draintech have numerous units to accomplish removing Silt and Debris from any lines. All of our Engineers have specific qualifications to ensure that the work is carried out safely and effectively.